Change in ownership of Nigeria’s electricity companies has not improved the fortunes of investors and consumers, writes OBODO EJIRO. On the morning of 16, June 2017 when residents of Fawehinmi Street, Ojuelegba, Lagos woke up, they saw an unusual sight. But they were not surprised. All through the night, an all-night meeting was held by one of the major religions in Nigeria in their neighbourhood. The meeting was accompanied with loud music, dancing and prayer to mark the end of a fasting season. All of this activity ensured that everyone in the neighbourhood got the notice. 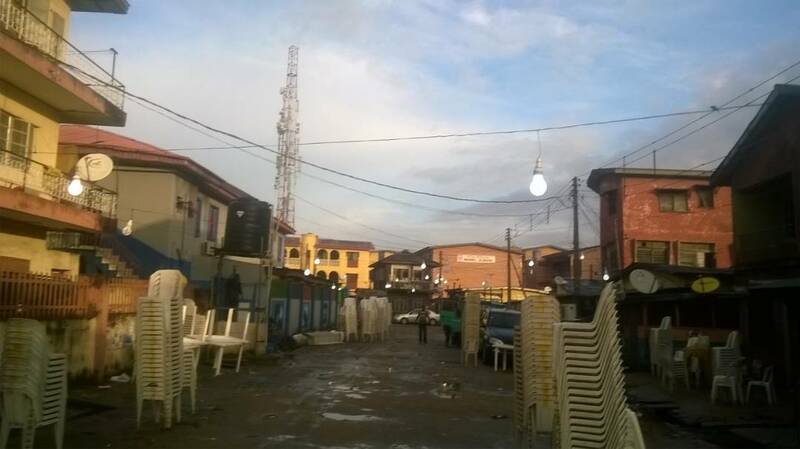 The main element of shock steamed from the fact that the electricity which was used to power all the loud speakers, lighting, and fans used by the clerics were powered with electricity that was illegally tapped from electric poles on the street. But also equally shocking was the fact that the bulbs that were used to light up the gathering that night were left on and dangled on the street till 2 pm that day. “They all do it,” Hopoh, the dropout electrician technician who did the illegal connection for the religious group told me when I asked him if this illegality was common. “When they want to hold all-night prayers on the street, they come to me. I do it for a fee and its not peculiar with any religion, they all come,” the 40 year old, who neither has a permanent job or home told me. The fact that even some religious institutions consume electricity which they have not paid for underscores the scale of the problem of energy theft in the country. In Nigeria, several households and companies are involved in energy theft which companies in the electricity business blame for the significant under-performance of the electricity distribution and generation industry. With an estimated population of 180 million people, Nigeria has one of the most chronic electricity shortage challenges on the African continent. The country’s electricity generation and distribution paraphernalia currently provides a wobbly average of 4,500 megawatts of daily but there are times when what is produced is much less. In the second quarter of 2016, when gas supply was disrupted by the activities of militants in the Niger Delta, an average of 2,503 megawatts was supplied to consumers, according to the National Bureau of Statistics (NBS). But there are also times when output has dropped to zero. Four years ago, in 2013, the privatisation process initiated by former President of Nigeria, Goodluck Jonathan broke up and sold state owned assets of the Power Holden Company of Nigeria (PHCN). 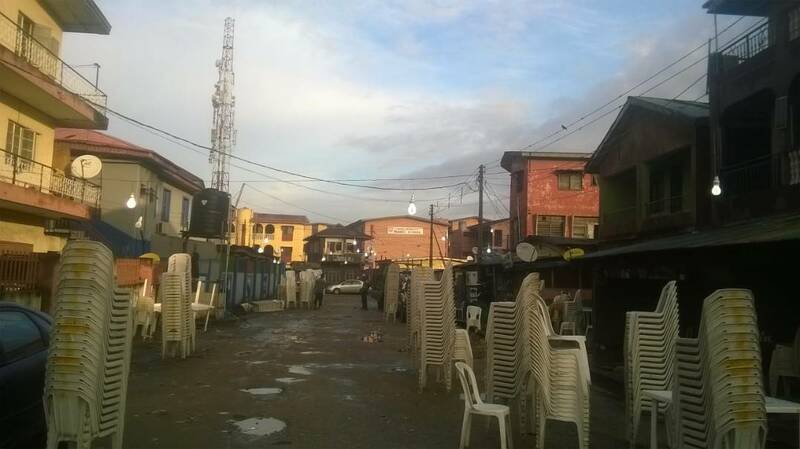 The sold assets were essentially classified into generating companies (gencos) and distribution companies (discos). A regulator, the Nigerian Electricity Regulatory Commission (NERC) was formed to regulate these newly sold companies and there was hope that the success recorded in past privatisation efforts would play out in the power industry. But the bigger challenge has been that even thought there was a deliberate effort to privatise the power sector, the major encumbrances around pricing of electricity as well as compliance with payment for services have collaborated to keep the new companies from breaking even. At present, Nigeria’s 11 privatised electricity distribution companies are far from breaking even not to talk of making profit, an analysis of the Nigerian electricity market has shown. The gory state of the industry is readily gleaned from the operational challenges the companies face from other threats including vandalism of assets, and outright refusal of consumers, especially government agencies, to meet their energy obligations. The above is compounded by the approved tariff regime, which at present is not cost reflective – producing and wheeling a kilowatt of power is far costlier than the tariff being collected by the companies. 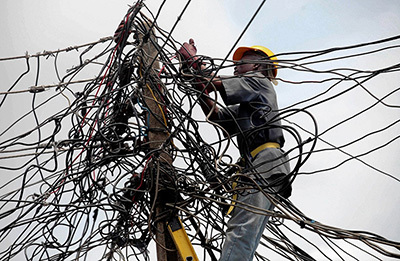 The situation is so dire that one of the companies, the Yola Electric Distribution Company, pulled out of the business as its former owners declared forced-majeure as a result of the activities of Boko Haram, which engulfed over 75 percent of its coverage area. According to energy watchers, the core of the Discos’ inability to break even is cash crunch as they are hard on funding for them to step up their games to the level of generating enough revenue and thus make profit from their operations. The cash situation is also worsen as operators have not been empowered to charge cost reflective tariff as government still engages in acts disposed to protecting the consumers at the expense of investors. Barth Nnaji, former minister of power, said recently that it is premature to even talk of beak-even in an industry, which is still in dire need of fresh investment. “Each investor in the distribution network needs at least $700 million to upgrade its infrastructure, which is at least seven times the amount they spent on acquiring the assets for them to operate optimally,” he said. “There must be a cost-reflective tariff in place,” Nnaji said, explaining that it means the cost associated with the business is what is paid. The business of power is what government has to be sensitive about. According to him Nigerians pay low for electricity in comparison to other parts of Africa. “We have to decide as a country whether we want power or darkness. Cost-reflective tariff is what distribution companies want from government and hold on to, as a reason. After that the Discos have to be held to deliver,” he pointed out. Industry data shows that the 11 electricity distribution companies settled only a third of the N111 billion worth of electricity invoices from the generation companies in the first quarter of 2017 leaving an estimated N80 billion unsettled. The Discos are also complaining of being owed over N100 billion by consumers. This is in addition to the almost N400 billion historic debt, which the discos are contending with. On the other hand, while the generation companies’ debt is put at over N300 billion. 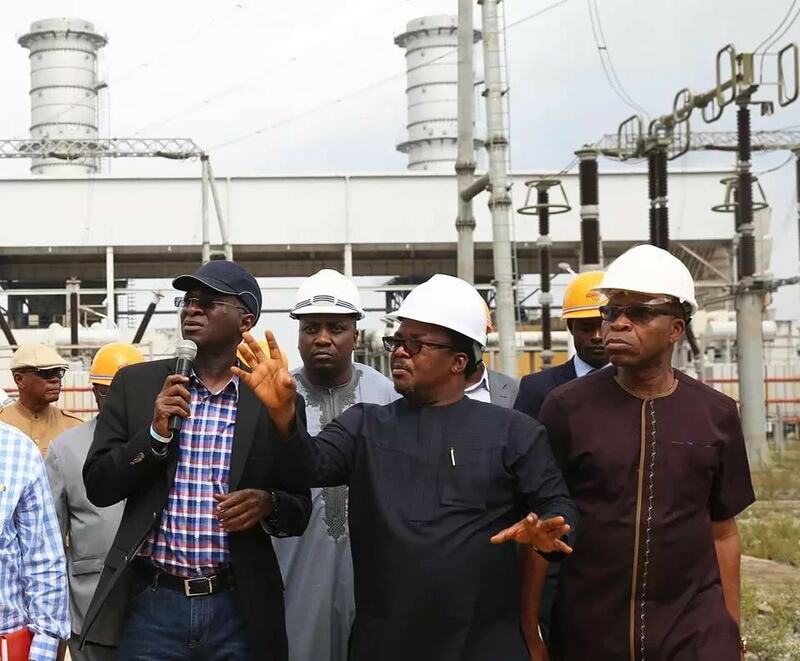 “Apart from being forced to collect a tariff that barely covers the cost of generating and distributing power, we are faced with the challenge of non-payment for electricity used,” a source who spoke to Businessamlive said. “There was a time we disconnected the electricity supply of a top Nigerian government official who is now with OPEC and the management of Yola disco was called directly from Abuja and was ordered to reconnect him immediately, or face retribution.” The source, who works with the Yola distribution company said that that individual who is now an official with OPEC was heavily indebted to Yola Disco, but remains untouchable. A source in one of the companies, who also pleaded anonymity, also told Businessamlive that monthly energy bill from the market operator (MO) averages N4.8 billion but the disco could hardly collect N2 billion from consumers. Some analysts say the government failed in the privatization process by placing political considerations far and above economic, which has masked the objective of the exercise. While the buyers into the successive power companies were sold only 60 percent of equity, government holds the remaining 40 percent for the Nigerian public, including state and local governments, without counterpart funding. This leaves the discos to fund their operations, which are yet to generate profit. To this end, the much-needed investment in the sector has failed to trickle in. Though some of the Discos are doing much better than others, with some introducing creative new ways to collect revenue and better engage consumers, others have performed below expectation. In all, none has broken even in the last four years. Over the years, the absence of stable power supply has meant that businesses have continued to struggle. Several researches have shown that in some cases, some businesses expend as much as 25-30 percent of their working capital on generating power. According to Ikechukwu Kelikume who leads economics and business development sessions at the Pan Atlantic University, an estimated $686.4 million is lost to the poor power situation in the country. The real heat of power outages is felt by the hundreds of small businesses which have to survive seeing that a good portion of their revenues have to go into funding electricity supply. But while the electric generating companies continue to perform below par, the impact of their underperformance will be felt by a large group of Nigerians.